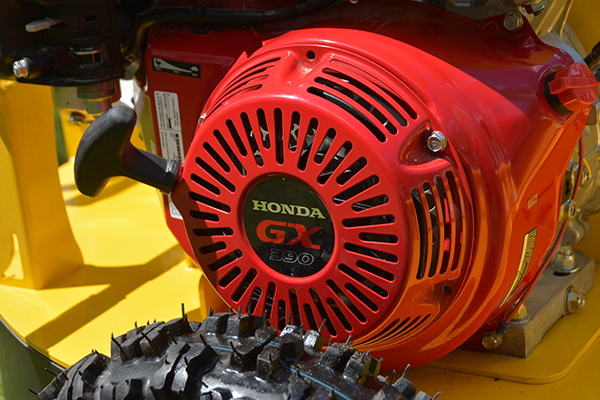 Powered by the 13hp 389cc Honda GX390 engine, you’ll have one of the best engines in the business. More power. Quieter performance. Lower fuel consumption. Lower emissions. Better features. This engine gives you exceptional performance. The concave shaped carbide tip provides aggressive stump blasting action by chipping the stump bit by bit. Part of the secret of their performance is always having a sharp edge. These round carbide tipped teeth are 3 teeth in one because each tooth can be rotated up to three times to provide renewed cutting performance. This gives you 3 times the wear, letting you tear into stumps 3 times longer. 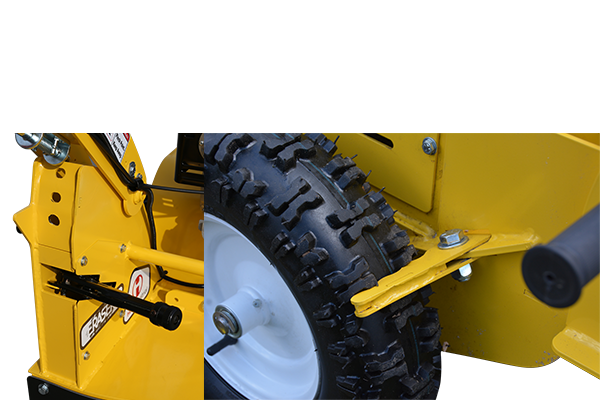 The tool holders are bolt on replaceable in case of damage makes servicing quick and easy without special tools and can even be done in the field. A centrifugal clutch is used to engage and disengage the rotor. 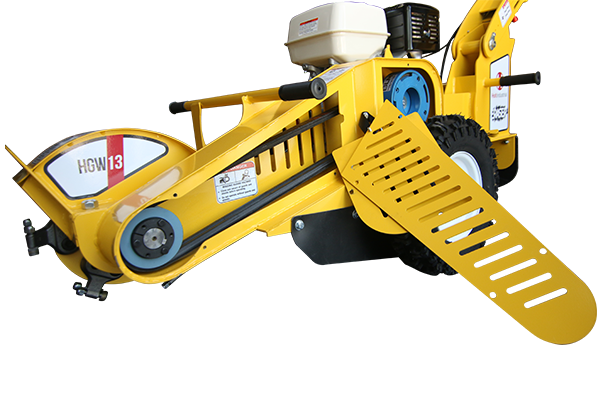 Grabbing the action bar revs the engine, when the engine reaches optimal grinding speed, the centrifugal clutch activates, engaging the cutting head. 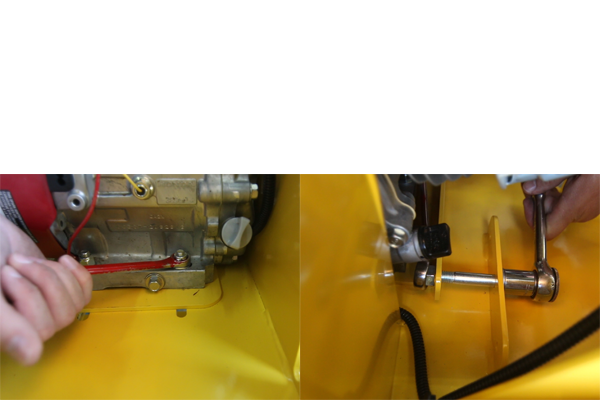 Releasing the bar idles the engine down and disengages the clutch. The centrifugal clutch makes grinding easy , keeps the head at peak grinding speed and protects the eraser from damage. 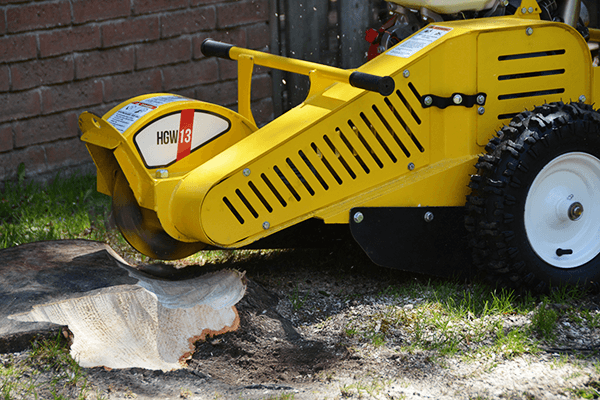 A heavy duty double banded belt with it's dual double v shape provides extra surface area for the belt to drive the cutting head for less slipping and more stump erasing power. 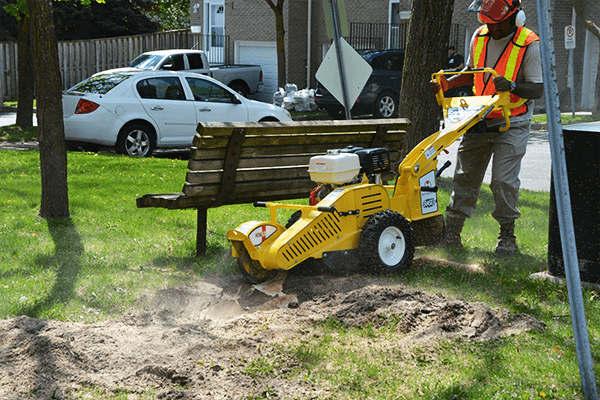 Conveniently located in front of the operator, the wheel lock enables you to lock down one wheel to stabilize the grinding and give you a smooth side to side range of motion. 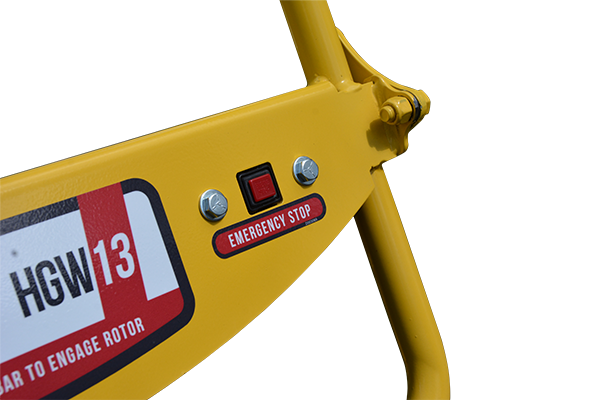 A clearly marked emergency stop button is located on the operator’s panel to instantly cut power to the engine. 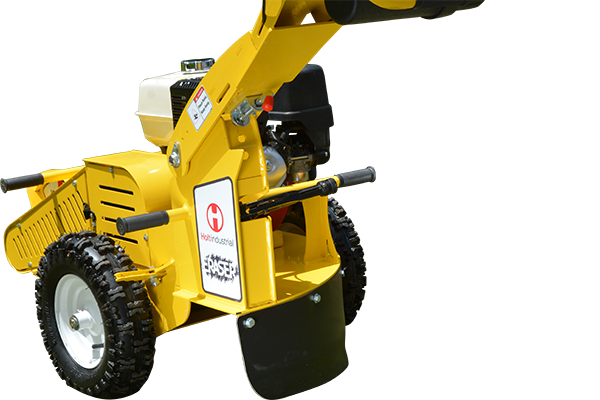 Wood mulch and debris exit the unit from behind the wheel so you can move forward and continue grinding with no obstructions in the path of the wheels. For easier transport and more compact storage. 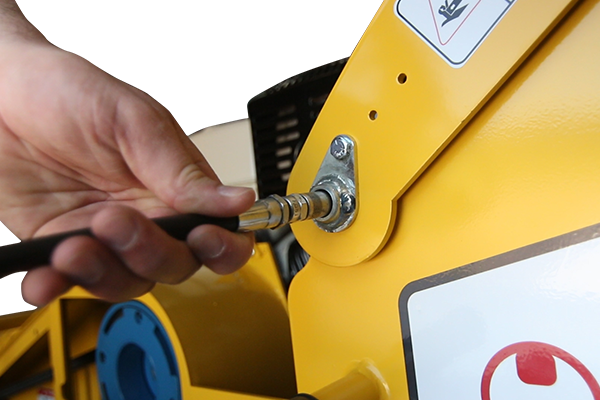 The handle is equipped with an easy access grease pin for continued smooth operation. 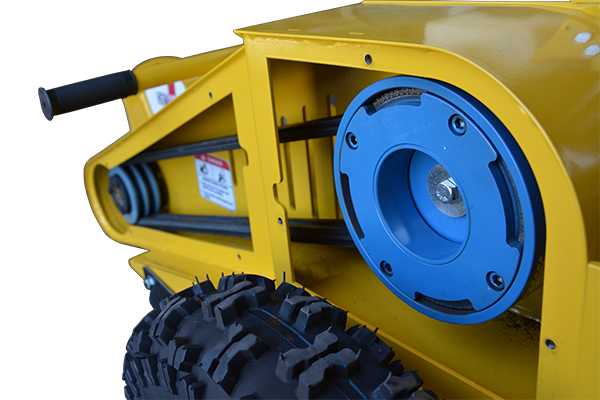 Integrated handles for manual lifting and lifting hooks make it easier for loading and unloading. Conveniently located under the operating panel n a protective weather proof container. 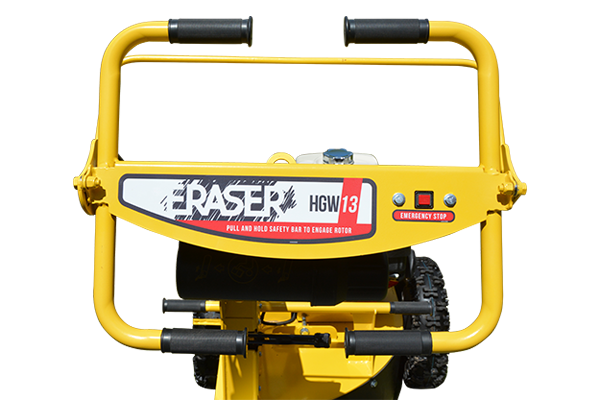 Click below to see the Eraser HGW13 in action! 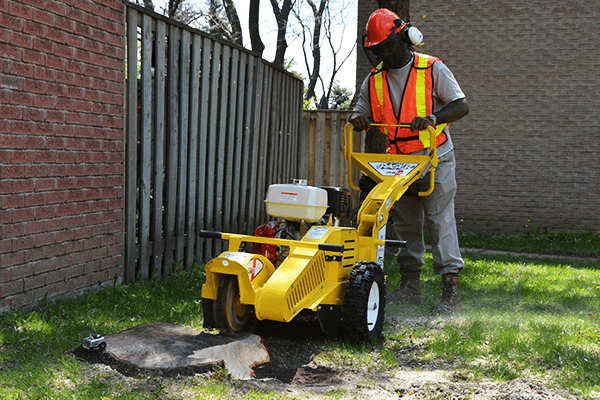 Re-write your landscape with the Eraser line of stump grinders. 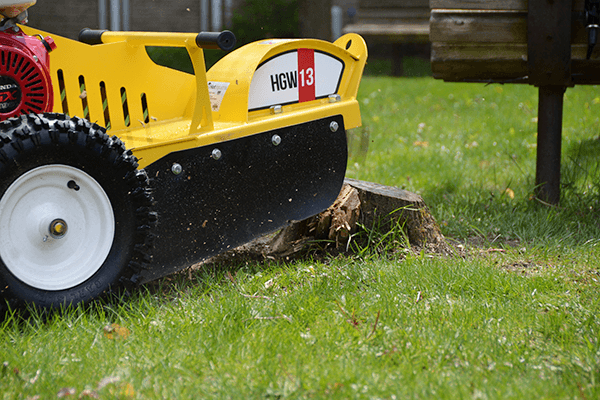 The powerful, yet portable HGW13 Eraser stump grinder lets you get to the stumps quickly and easily. 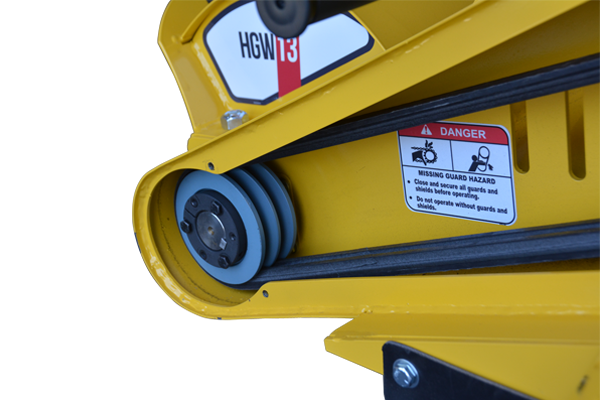 At under 30 inches wide, the HGW13 Eraser can fit through most gates and between buildings making it great at getting stumps in hard to reach areas. 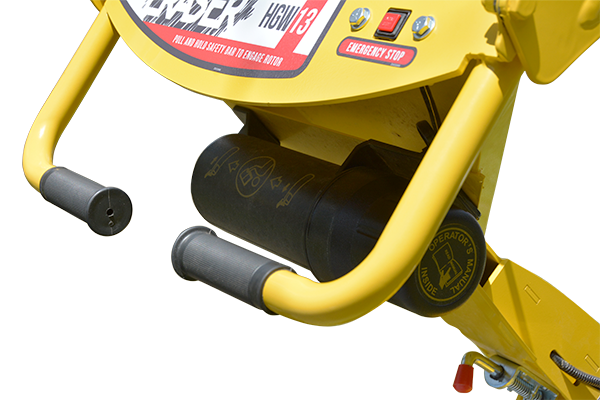 Powered by a 13 HP gas engine, the 13 inch cutting head chews through stumps with 12 industry proven Green teeth. 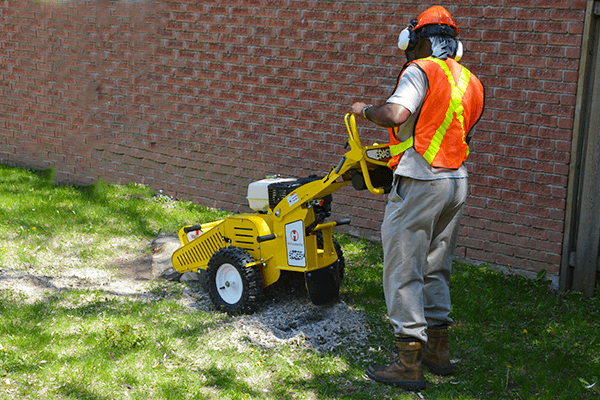 15 inch pneumatic tires roll easily over the ground getting the grinder into position without tearing up the turf. The adjustable handle lets you get just the right fit for comfortable operation. 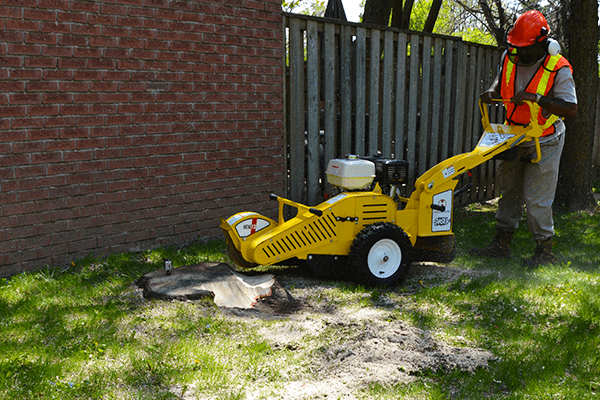 Lock the left tire and now you are ready to pivot the Eraser and grind the stump away. 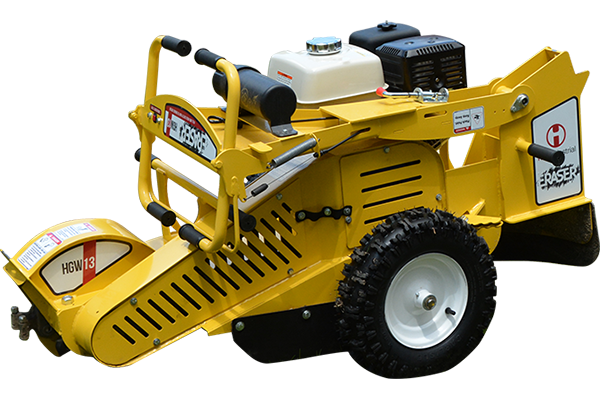 The wide degree cutting arc allows you to grind stumps up to 10 inches in diameter with little repositioning. 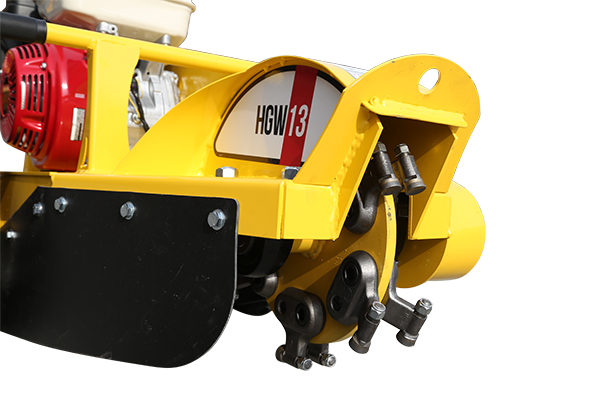 With the stump erased, the HGW13 Eraser is ready for its next job. 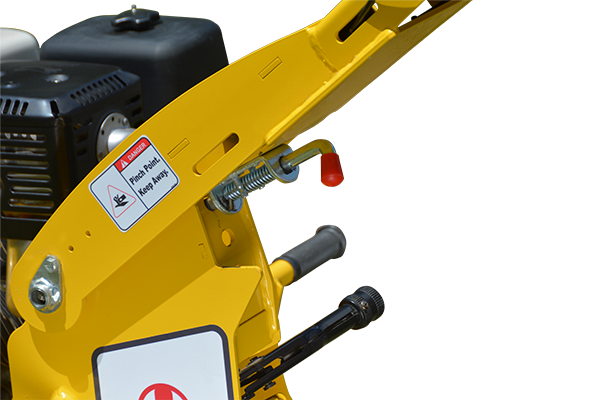 Integrated handles and lifting hooks make it easier for loading and unloading. 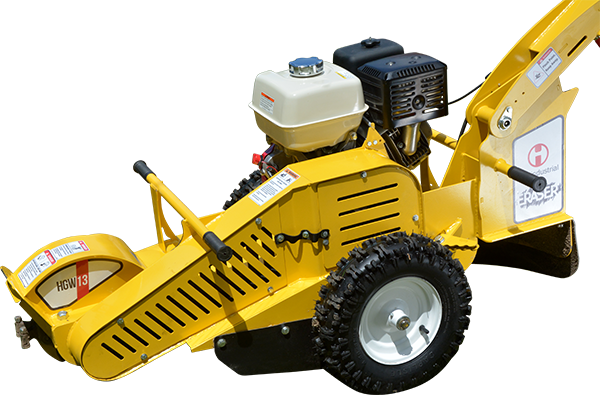 The folding handle makes it more compact for easier transport and storage, ready to re-write the next landscape.